The 2018-2019 Jog-a-Thon is October 5th. The Jog-A-Thon is Oak Hill Elementary’s ONLY major fundraiser of the year. Students earn money for our school through either flat donations or per lap pledges. They will jog or walk with their grade level for 30 minutes the day of the event. This year it is on Friday, October 5th from 8:15am-2:15pm. Our goal this year is to raise $40,000 and have 100% student body participation! If each student raises a minimum of $70, we would easily surpass our goals! We will once again be using Pledgestar in addition to the donation envelopes to reach out to friends and family both near and far. You do need to set up your Pledgestar account every year! Go to http://pledgestar.com/oakhills to get your account set up for this year. Instructions were included with the packet sent home with your kids. If you need help, call PledgeStar at 1-888-598-7510 or email your Jog-a-Thon team at jogathon@oakhillspto.org and we’ll get right back to you! Matching funds from employers are a huge opportunity to help make your donation go further! Many companies in our area will match your donation, please check our list of Employee Matching Companies to see if your company participates. Employees must submit a copy of the official receipt of their personal donation to communityrelations@columbia.com for corporate matching consideration. Please maintain the original receipt for your personal tax records. CSC will match these donations twice annually (June and December). Can you run with your child? YES! We love when families come to run with their kids or cheer them on! It is strongly requested that visitors who plan on being at the school the day of the event to either run with or cheer on their children have their background check completed. It takes many volunteers to make this amazing event and fundraiser happen. We need adults to help tally laps for every class and each grade level as well as helpers for set-up and clean-up. Feel free to come run with your child or cheer them on and then volunteer to tally laps for another grade level. As the date gets closer, volunteer sign-ups will be posted. 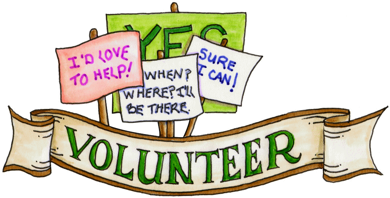 All volunteers and visitors need to complete the district’s volunteer background check before being eligible to work with students and volunteer in the school and classroom. It only takes a few minutes! Please visit https://www.beaverton.k12.or.us/depts/CCI/volunteer-engage to get started. Why is the Jog-A-Thon Important to Oak Hills Elementary School? Full funding from Jog-A-Thon fundraising will allow us to support everything that our students and teachers need. Additional funds will be earmarked for the new track fund, providing a much-needed new track for our students! We are so thankful for the hard work of our students and the generosity of our community. By working together, we know we can continue our community’s tradition of supporting its school! If you have any questions, please feel free to email the Jog-a-Thon Coordinator at jogathon@oakhillspto.org.